Whether you are a CA, DC or Spouse, this engaging format is for you. environment for conversation and Clear Strategies. and practice members in their chiropractic interactions. and improved policy and proceedures . . . a healthier experience for All! Discusion RE STRATEGIES for the CA & DC to stay in 'alignment' in their daily office procedures and responsibilities . .
How the DC is supported by their CA's & Spouses. Conversation RE CREATING financial plans and policies that are in 'alignment' with the philosophical focus of the practice. 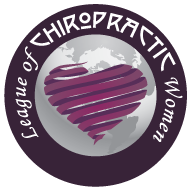 The Largest Celebration of Chiropractic in the Northeast World renowned speakers, Up to 18 CE Credits. Technique Fri Sept 21 9am-6pm. Philosophy Fri Sept 21 8pm - 10:30pm, Convention and Exhibits Sat Sept 22 9am - 6:30pm. Don't miss this great opportunity to hear GREAT SPEAKERS and support the profession that you love. Register early for discounts. Lowest Rate Discount expires on February 24, 2018 at midnight. Integration of scientific evidence with clinical objective experience. CE CREDITS WILL NOT BE ISSUED UNLESS THE YELLOW FORM IS RETURNED AT THE END OF THE EVENT. If you misplace your form alert the CE PROCTOR at the REGISTRATION DESK, for a replacement.